Francey (Francesca) is a firefighter (I know- a female firefighter!). Her grandpa, dad, and a brother are also firefighters. She and her crew get called out to a fire. She rescues Alex, who fell asleep at his desk. I like both both Francesca and Alex. Fran is a tomboy and is one of the guys. Alex sees her and is intrigued. It helps that she doesn't fawn all over him. They play at being friends and later have things they need to work out. I liked the firefighting terms and learned a little. 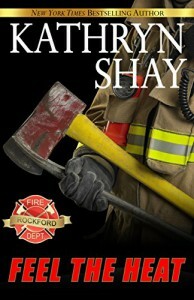 I thought it was realistic at how a busy, city fire department is, with the stress of the job, but also the stress it puts on the family. There is a strong secondary story-line here too with Fran's parents, Ben and Diana who divorced when she was 3. The fire that Alex is saved from; that was predictable and I had wondered, at first, if that would have been a suspense point. Hint- it's not. Anyway, I was right. Points off for this: "But it was her eyes that snared him. They were huge, almost translucent and the oddest color, indigo fanning out to deep purple." This is NOT a paranormal! (Natural) purple eyes do not exist! 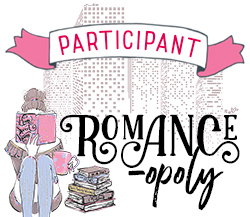 Ripped Bodice Bingo: firefighters square!